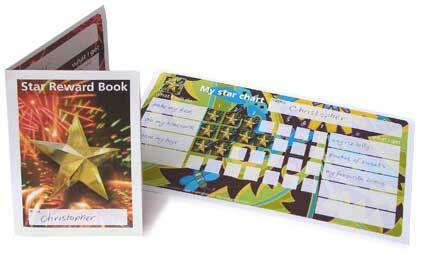 This range of easy to use Reward Star Charts that fold up into little booklets are perfect for encouraging your child to do the things he or she should do, or for you to start creatively managing and modifying bad behavior. 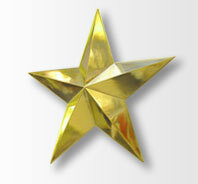 Choose a reward Star Chart Booklet (with your child if possible) then just download it and print it out. If you only need a chart, fold over or cut off the front-back pages part of the booklet and use it as it is. The charts have been designed to have just a few star sticker spaces across them to make it easier for dads whose children don’t live with them. The dadcando reward chart booklet is easy to fold up in to a neat reward booklet, which is perfect if your child is going to take it backwards and forwards between homes. If you use the reward chart in its booklet form, make sure to stand it in a prominent place on a mantelpiece or shelf so that the child can easily see the progress they are making. You use as many or as few of the rows as you want, but don’t overload your child with tasks to start with. Be sure to write his or her name in bold, easy to read letters in the spaces provided so that there is no confusion who’s chart this is. . . .Before starting with the Reward Chart, you should make sure you have read the Reward Chart Instructions and understand the all important Reward Chart Rules, otherwise your system might not work or you may end up sending all the wrong messages to your child. . . .Buy or make special stickers for the chart, and keep them safe; remember to work they have to have a currency and should be valued by you so that your child understands their value and the value of what he or she is getting. 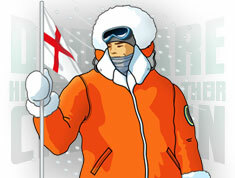 Buy stickers on-line or from any stationers and or most supermarkets. If possible, choose the stickers with your child so that they are excited about getting them. 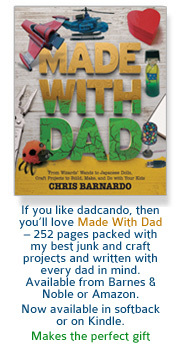 Alternatively you could make your own stickers using the, Sticker Printer Patterns, right here on dadcando.com, so you can get going right away. To make the stickers either print out the whole sheet as it is onto any suitable inkjet self-adhesive label paper (full sheet would be best, but any normal inkjet multiple sticker paper will do as there are loads of star sticker images, so even if a few don’t line up, lots will) and then cut out with scissors and use as necessary. Or print out the sticker printer pattern onto a plain sheet of paper and use double sided tape (applied over the back before you cut them out) or a glue stick to stick them in place. Different patterns and backgrounds are provided which should be suitable for a range of ages, and means that you need never get bored of the same old sticker chart or booklet. Both A4 and US Letter size downloads are available, just click on the size you require, to download it. Poor behaviour is always difficult to deal with and as a parent being consistent all the time can be very hard. If you have just split up from your partner, then emotions will be running high and it's likely that the normal routines will have been changed. It is crucial at this time to try and give good balanced attention to your children, that despite the change in circumstances, and the emotional stress you are experiencing, shows that you are going to be there for them, and still give them the attention they need. If you get cross with your child when things don’t go right and your child doesn’t do what they should, although this is not nice for them, the child sees this as a way of getting the attention he or she needs, and starts to rely on this as a means of interacting with you on a very personal level. As a result, a very destructive cycle is set up. Reward Charts (sometimes called Star Charts) are great ways to get things working in you and your children’s lives and help your children understand what behaviours you are proud of and how they can contribute to the smooth running of a happy home. By using them you'll really show them that you appreciate their efforts. 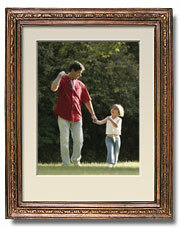 Reward Charts, in various shapes and sizes work for any age. After all, think about all those store loyalty cards or 'buy nine coffees get one free' cards that large retail companies use to reward adults for certain desired behaviours. On dadcando we have some lovely Reward Charts and Reward Chart Booklets, designed specifically with the single parent in mind (although they are suitable for any dad or mum). All are quick to download and there is even a sheet of stickers to download so that you can print and make your own stickers if you want and get started right away. Before you start, make sure you have read the instructions and reward chart rules and if the reward chart is to go between homes, that you have the agreement and buy-in of your ex-partner, because consistency is a major factor in reward chart success.